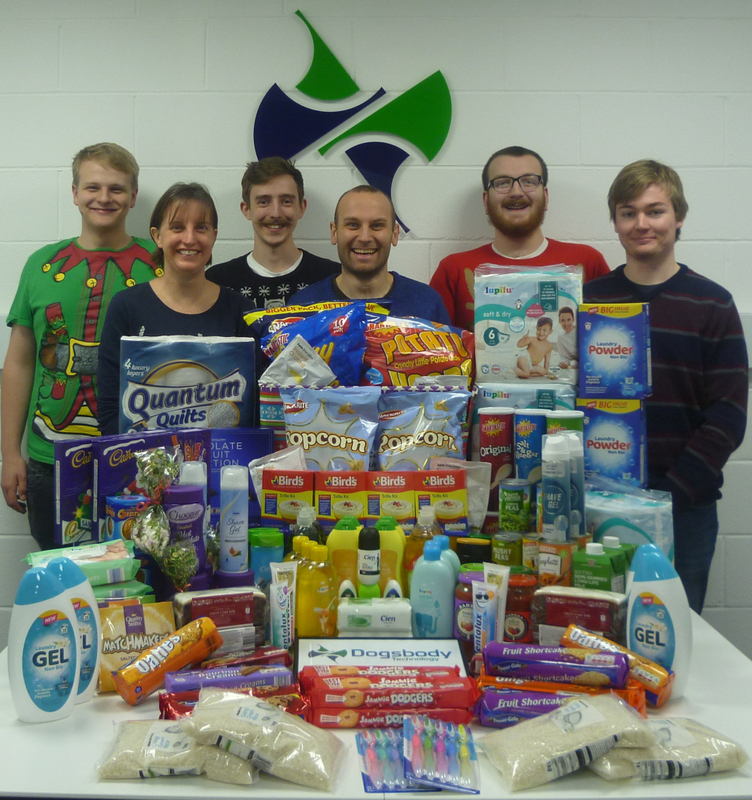 Company Archives » Dogsbody Technology Ltd.
Dogsbody Technology have once again taken part in #FoodbankAdvent 2018 – The Reverse Advent Calendar, and this year we went bigger and better! 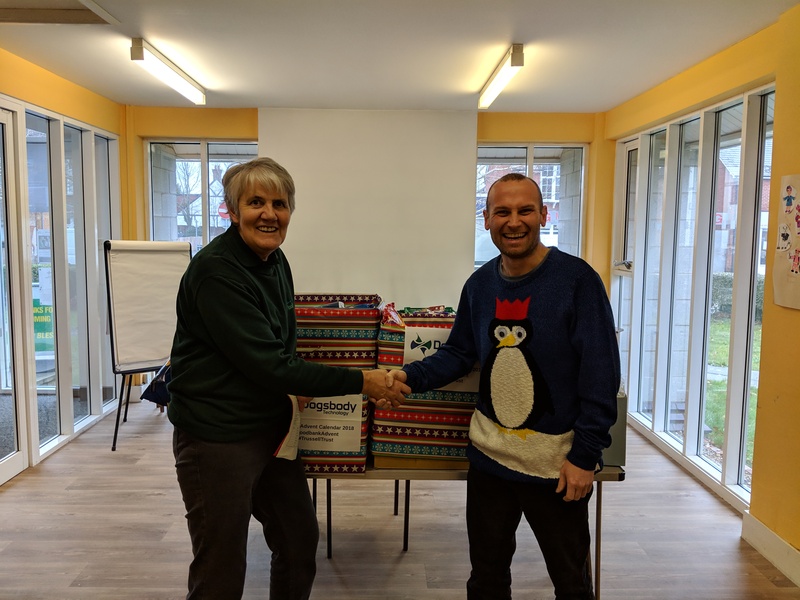 On the 5th December 2018 Dogsbody Technology donated over 150 items (over double of last year!) 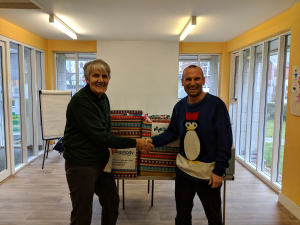 weighing over 76 kg of food and non food to our local Farnborough Trussell Trust Foodbank #FoodbankAdvent. Unfortunately demand over the last year has risen. “December was the busiest month for foodbanks last year. During December 2017, The Trussell Trust’s network provided 159,388 three-day emergency food supplies to people in crisis; 65,622 of these went to children. This is a 49% increase on the monthly average for the 2017-18 financial year. Inspired to take part too? 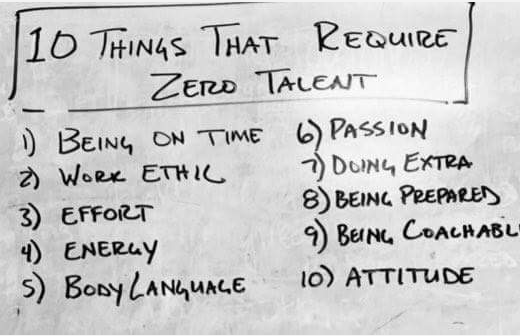 Its not to late to start! Read Trussell’s Trust’s What goes in a food bank parcel and non food items to see the items they like to be donated. Find your local Trussell Trust food bank or donate to others in your area. There are even collection points in supermarkets across the country so you can add an extra something to your weekly shop and pop it in the collection point as you leave. Donate long life items (tinned or dried) so as not to waste fresh food (which goes off quickly). If you want to collect an item a day as per the advent calender, then your donations will be just as welcome in January as winter sets in!. Dogsbody Technology want to wish everyone a Merry Christmas and a Happy 2019. After a busy 2018, Dogsbody Technology will be taking some time off to celebrate the festive season. Thu 13 Dec 2018 – Office Closed after 16:00. Fri 21 Dec 2018 – Office Closed after 13:00. Mon 24 Dec 2018 – Office Closed. Tue 25 Dec 2018 – Public Holiday. Wed 26 Dec 2018 – Public Holiday. Thu 27 Dec 2018 – Office Closed. Fri 28 Dec 2018 – Office Closed. Mon 31 Dec 2018 – Office Closed. Tue 1st Jan 2019 – Public Holiday. To raise an emergency issue please use our usual contact details as calls and support emails will be routed to the engineer on call. For our maintenance customers we will continue monitoring and patch servers as usual over the Christmas period. Also check our status page for any known internal and hosting server issues. Thank you for your continued support throughout 2018. We hope you have a very Merry Christmas and a Happy New Year. Dogsbody Technology love to attend hackathons, whether they be online or the middle of a field near Wales. In the past we have attended Over the Air, Hashcode and EMF camp with Mr Dogsbody attending ‘retro’ hackathons such as Campus Party, Hacked and many barcamp’s. Hackathons take a lot of organisation, planning and of course sponsorship. Unfortunately, over the years the number of hackathon have depleted. In 2018, at the request of our employees, Dogsbody Technology decided to introduce our own bimonthly Internal Hackathons to the Dogsbody calender. 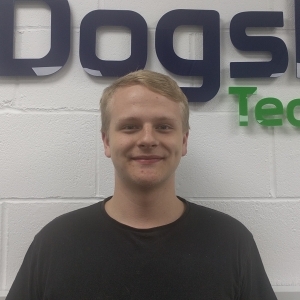 The Dogsbody Team take a Friday afternoon and evening break from their usual work schedule to work together on whatever exciting, ad hoc projects they want too – new technology, internal improvement or that code that just won’t work! In true hackathon style there is Junk food (pizza, fried chicken, burgers you get the idea) and drink. We may in the future do a longer more traditional hackathon somewhere but for now Dogsbody HQ with fast internet and all our home comfort gadget works for us. Its a chance for our employees to play with the tech they want which may not come up in their day job and for us to add another great reason to work for Dogsbody Technology. The new General Data Protection Regulation (GDPR) (Regulation (EU) 2016/679) laws haven’t changed anything for how Dogsbody Technology treat your personal data. We have always treated your personal data as strictly confidential and will continue to do so. Dogsbody Technology has always had security by design and by default – its our business. use appropriate security, technical and organisational measures to keep your personal data safe. let you opt out (if applicable). provide a copy of any information and/or assets we have regarding you at any time (requires proof on identity). be a UK registered Limited company that stands by UK laws. If you have any questions regarding these documents please feel free to contact us at any time.